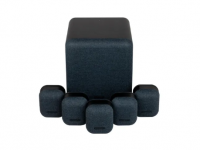 Bluesound are a company with a whole range of multiroom devices to fulfil all your aural needs – from wireless speakers to media servers to home cinema soundbars, Bluesound has a product for you. So where does the new Node 2i come in? Well, it is designed for those with existing hi-fi that doesn’t offer wireless streaming. The Node 2i is packed with compatibility with almost every streaming service available. There is support for Spotify, Deezer, Amazon Music, Tidal and Qobuz, just to name a few. There’s also internet radio so you should definitely be able to find something which suits you. 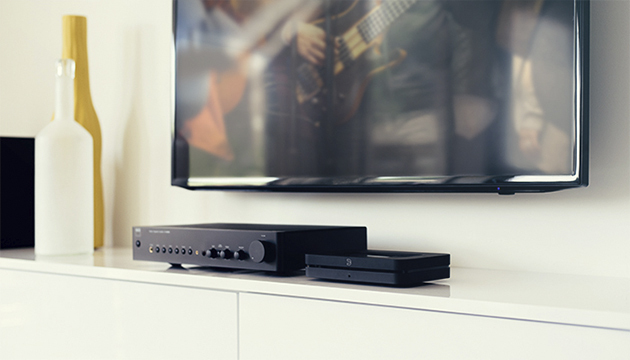 The feature that makes Bluesound stand out is the support for High Resolution Audio. All the products in the 2i range can support up to 24-bit, 192 khz playback and the Node 2i has a 32-bit DAC to make sure it’s getting the most from those Hi-Res files. This makes it a great option for those looking for top-quality digital sound from their hi-fi setup. The Node 2i comes with a range of connectivity options, all tucked neatly away on the rear of the device. There are RCA outputs, a subwoofer output, optical and coaxial digital outputs and a trigger output. On the input side of things, there is a combination to a link optical/3.5mm audio input, an IR input, USB type A and Ethernet. It’s a nice range, giving the user options to either use the internal DAC chip or pass a digital signal out to a standalone DAC. We really appreciate this flexibility when it comes to digital files because it gives you more options in the future. Another interesting feature of the Bluesound Node 2i is the ability to wirelessly transmit signal around your home to other Bluesound products. 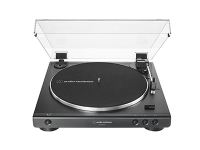 The most obvious use for this is with a CD player or turntable, which you can then listen to on any Bluesound speaker. This could potentially mean having a hub setup with these devices attached in one room and using that signal to provide audio to a range of smaller speakers in other rooms. 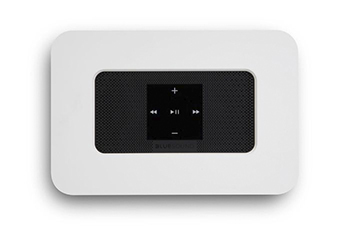 When talking about multiroom functionality it’s worth mentioning that Bluesound has chosen to include support for a number of Smart home systems such as Control 4. By including support for these systems, it means you can control all your different devices such as TVs and audio from one place. It’s certainly a nice feature to have on higher-end products like this. We sat down with the Node 2i in our demo room to try out the functionality for ourselves. Unboxing and setup were quick and simple with no issues to report. The Node 2i connected to our Wi-Fi network without any problems. Bluesound offers two finishes of the Node 2i, matte black and matte white. 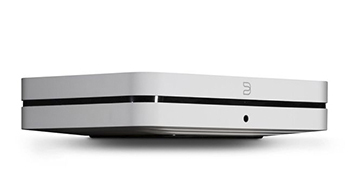 We have the white finish here and it looks very premium with only a few touch buttons on top and a thin black strip around the middle of the unit. It’s relatively small in stature but doesn’t feel cheap, with plenty of weight to the unit. We decide to set it up with our Cambridge Audio CXA80 amplifier and Monitor Audio Silver 100 speakers to see what it can do. The BluOS application makes control nice and easy. It’s very responsive and intuitive to navigate which allows us to start playing our favourite Talking Heads live album Stop Making Sense very quickly. You can immediately hear that this is a top-quality streamer. We chose to use a CD quality file to see what sort of performance it gave and the Node 2i doesn’t disappoint. During the opening track “Psycho Killer” the chords of the guitar really spring to life. You can really feel how much effort David Byrne is putting into the lyrics of the chorus. An impressive performance which draws plenty of detail from the track. We are mightily impressed with the Node 2i. 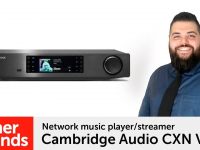 Its wide range of streaming services as well as support for Airplay 2 and Amazon Alexa coming soon means it provides all the connectivity we look for in a great streamer. The quality of the audio output is where this device really shines with plenty of detail and punch to the performances. If you want to rediscover your favourite tracks, then this is a great option for you because the 32-bit DAC brings out details you may have missed many times before. To find out what you might be missing contact your local Richer Sounds store to arrange a demo of this streamer and listen for yourself.